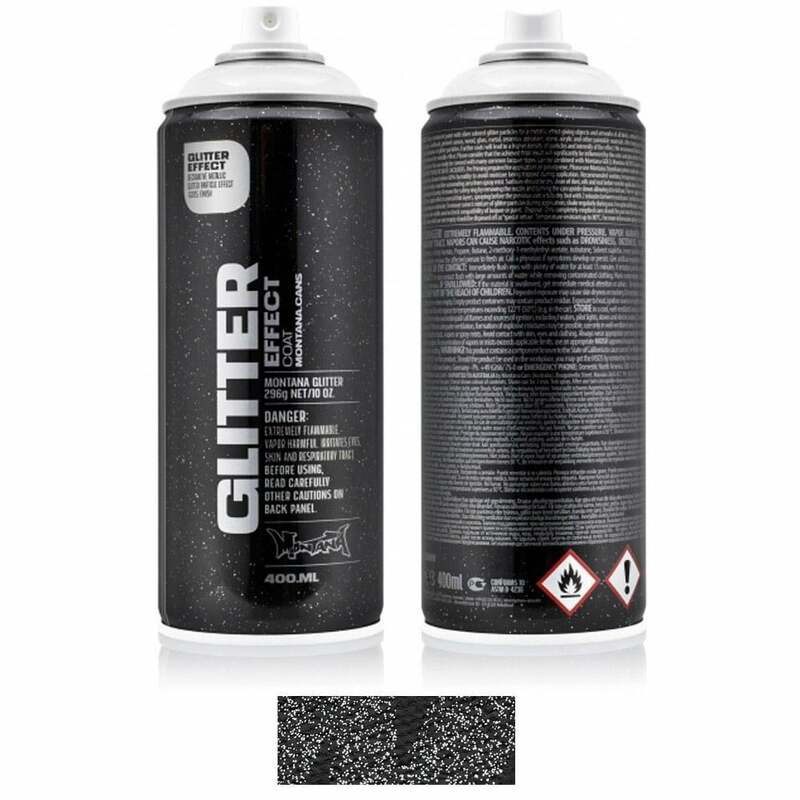 Montana Effect Glitter spray is a glossy, translucent paint with silver colored glitter particles. Can be used on a wide variety of surfaces including paper, cardboard, primed canvas, wood, glass, metal, ceramics, porcelain, stone, and acrylic. A thin coat will show a shiny lacquer with a fine distribution of glitter. Further coats provide a higher density of particles and a more intense effect. A final coat of Montana Varnish is recommended to enhance the metallic effect. Can be combined with Montana Gold and conventional acrylic paints.